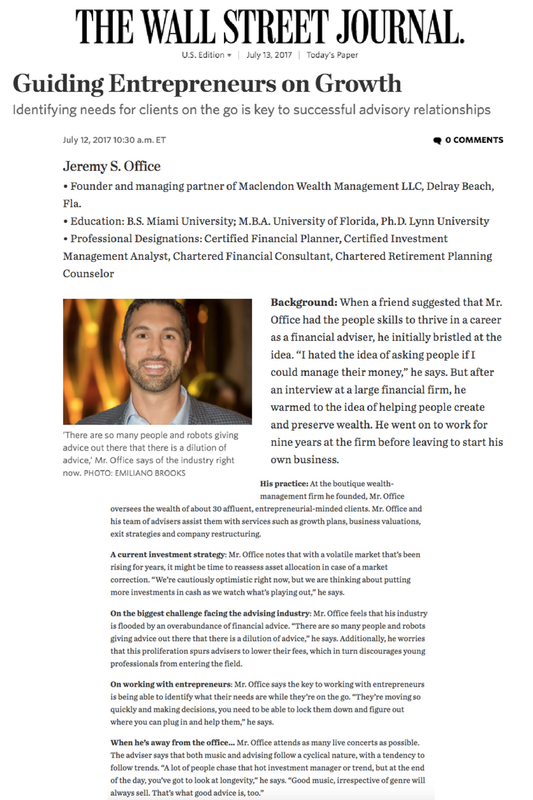 • Founder and managing partner of Maclendon Wealth Management LLC, Delray Beach, Fla.
‘There are so many people and robots giving advice out there that there is a dilution of advice,’ Mr. Office says of the industry right now. Background: When a friend suggested that Mr. Office had the people skills to thrive in a career as a financial adviser, he initially bristled at the idea. “I hated the idea of asking people if I could manage their money,” he says. But after an interview at a large financial firm, he warmed to the idea of helping people create and preserve wealth. He went on to work for nine years at the firm before leaving to start his own business. His practice: At the boutique wealth-management firm he founded, Mr. Office oversees the wealth of about 30 affluent, entrepreneurial-minded clients. Mr. Office and his team of advisers assist them with services such as growth plans, business valuations, exit strategies and company restructuring. 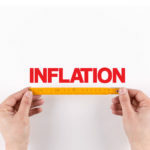 A current investment strategy: Mr. Office notes that with a volatile market that’s been rising for years, it might be time to reassess asset allocation in case of a market correction. “We’re cautiously optimistic right now, but we are thinking about putting more investments in cash as we watch what’s playing out,” he says. On the biggest challenge facing the advising industry: Mr. Office feels that his industry is flooded by an overabundance of financial advice. “There are so many people and robots giving advice out there that there is a dilution of advice,” he says. Additionally, he worries that this proliferation spurs advisers to lower their fees, which in turn discourages young professionals from entering the field. On working with entrepreneurs: Mr. Office says the key to working with entrepreneurs is being able to identify what their needs are while they’re on the go. “They’re moving so quickly and making decisions, you need to be able to lock them down and figure out where you can plug in and help them,” he says. To read this article and more like it, visit wsj.com.